My guess is, even if you’re not an 80s kid, you’ve probably heard the toe-tapping chorus of ‘Footloose’ enough times to hum it. In fact, Bonnie Tyler’s cover of the musical’s hit ‘I’m Holding Out for a Hero’ has probably caught you at some point. 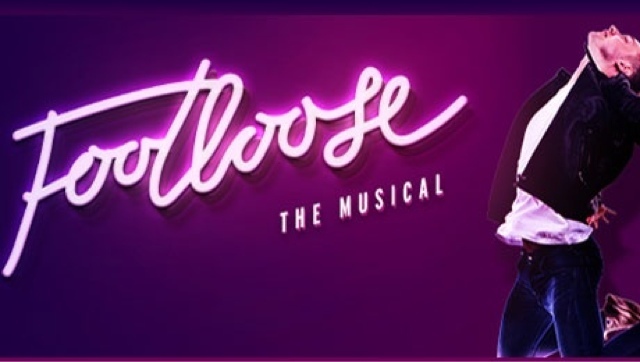 In this sense,Footloose has little disappeared since its 1984 filmrelease, and this latest revival to tour the UK is set to join those dots together. The show, loosely telling of a religious community in Oklahoma that banned dancing, is in many ways a typical American high-school dance-rom-com,featuring an oppressive religious community andyounger town inhabitants who are determined to break free. So far, so standard. However, with the arrival oftroubled Ren McCormack (Luke Baker) comes rumblings of disturbance, attuned to the dissatisfaction of the teen community. As we learn of the overbearing town preacher Rev Moore (Nigel Lister), so too do we begin to understand the strains on just about everyone in this representation of small town America. The preacher’s daughter, Ariel (Hannah Price) embodies the split identity of religious obedience and typical teenage rebellion, disappointing her father whilst coming to terms with herself removed from the confines of her parents. As the show unfolds, the quest to ‘bring back dancing’ at a school prom becomes an embodiment of moving forward and leaving behind a restrictive and dark past. Dancing allows these kids to understand themselves and their bodies, enabling them to groove to their own rhythm. To this backdrop, the cast play every instrument on stage, alternating between saxophone and piano (and back again) with ease. It is not a distracting addition but a clever accentuation of the casts talents and the ability of a director (Racky Plews) to intertwine music and dance in a show that places such emphasis on the two. Using it to highlight comic parts (trumpeting during a town hall meeting), or a quiet piano solo during tender moments, draws the audience to the beat of the show itself. It is in these softer moments, between Rev Moore and his wife, Vi (Maureen Nolan) and between father and daughter, that we witness an emotional and touching side to the show. Both Lister and Nolan are sincere and moving, giving the show greater depth and the troubled families it explores a feeling of reality. This is not to sound morbid; the show has the audience on their feetby the final act, dancing and grooving to no end. It’s energetic, emotive and crude, one for the lovers ofFootloose, and for those that are yet to be persuaded. Footloose is at the King's Theatre Gkasgow until Saturday 18th June.